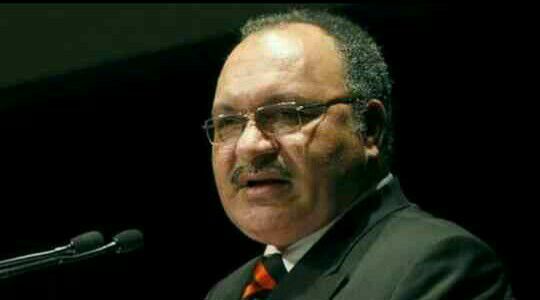 Papua New Guinea Prime Minister Peter O’Neill has hit back at naysayers stating the numbers indicate a growing domestic economy that could hit close to K100 billion gross domestic product size by the end of 2018. The PM said he was confident enough to make the comments last Thursday during the launch of the PNG strategy for the development of statistics, stating that since 2010 the country has seen growth that could double its economy by the end of this decade. “We went through some statistics about our economy and where we are, in a collection of data done by our friends at ANZ, Credit Suisse Societe Generale, Bank of China, our own Treasury have put this document together for us to go and issue a sovereign bond. “Inside that data there was some interesting information. I didn’t realise that our economy while everyone is talking it down is doing quite well. “For instance in 2010 our GDP was maybe at around K34 billion in 2010, in 2015 we over K60 billion and I am certain that by 2018 it will be closer to K100 billion,” Mr O’Neill said. He said the statistics show the GDP would almost double the size within the last seven years. “So don’t let people tell you that we are not going anywhere? Our country in 43 years has moved from a very traditional society to where we are. “It is something that we should be very proud and the data that you collect for us for further development of our country is very important. It is important for planning and nation building so we deliver the right services to the right people,” he said. According to World Bank figures in 2010 the country had a GDP of US$14.25 billion (K43 billion in value today), 2011- US$18 billion (K55 billion), 2012- US$21.3 billion (K65 billion), 2013- US21.3 billion (K65 billion), 2014- US$23 billion (K73 billion), 2015 – US$21.6 billion (K66 billion), and 2016- US$20.21 billion (K62 billion).